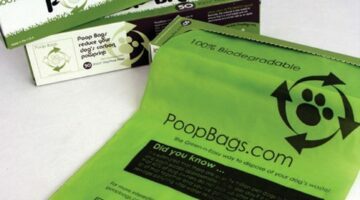 We work so hard to rid our lives of plastic bags, why not do the same for our pets’ lives too? The Coca Cola company may seem to be an unlikely candidate for the greenest sponsor of the 2010 Olympics, but wait until you see how far they went to be just that. Eco-friendly toy trucks that WON’T harm your youngster. Win a FREE eco-friendly, lead free, BPA free, and vinyl free lunch box from Lunchsense! Danger Will Robinson, A Plastic You WEAR May Be Harmful! 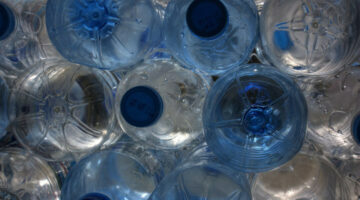 Think you’re safe by getting rid of your #7 plastic nalgene bottles? Maybe not. #5 plastic has been found to possibly be VERY dangerous itself…and it’s everywhere! New BPA free bottle from CamelBak! Hooray for no more fake estrogens in our water! Publix makes living green ridiculously easy by offering reusable shopping bags for .99 cents! Heating Food In Plastic Containers: Cancer Causing or Urban Legend? Can heating your food in a plastic container really give you cancer? You may be surprised with what you discover. With stainless steel and new biodegradable plastics such as PLA available, why would someone choose to use traditional plastics? Check out some of these pro’s and con’s of new PLA plastic products. 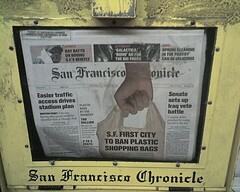 With San Francisco banning plastic bags and Ikea beginning to charge for them, they must be pure evil right? Well, are they really? 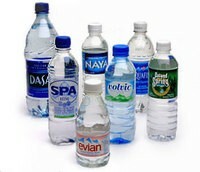 Filtering your water or drinking water straight from the tap only solves half the problem of consuming bottled water. The other half is that we most likely still put it in an unsafe, non-renewable, plastic container. Let’s find out what you should use if you must use plastic. Next time you grab that ice-cold bottle of water from the fridge, be sure to enjoy it. It is probably, in fact, not any more healthy than you’re tap water and is packaged in a crude oil derivative. Yummy.